This was one of several radios given to me by Michael Marwood, I have cleaned it up and it is working.The radio covers long and medium wavebands but the dial with station markings is absent. This is a view of the printed circuit board. 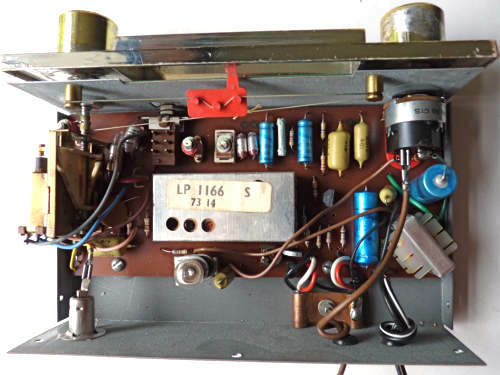 The metal can houses a Mullard oscillator and IF amplifier circuit module incorporating AF117 transistors. The date code indicates that it was made in 1973. 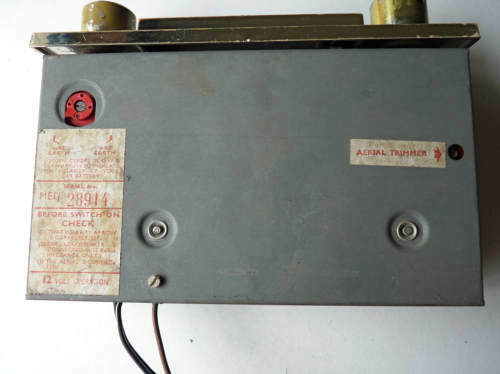 This is a view of the underside, note the switch for selection of positive or negative earth connection..